The CR212 ceiling-mounted equipment rack allows electronic equipment to be conveniently installed out of sight, in the ceiling plenum. 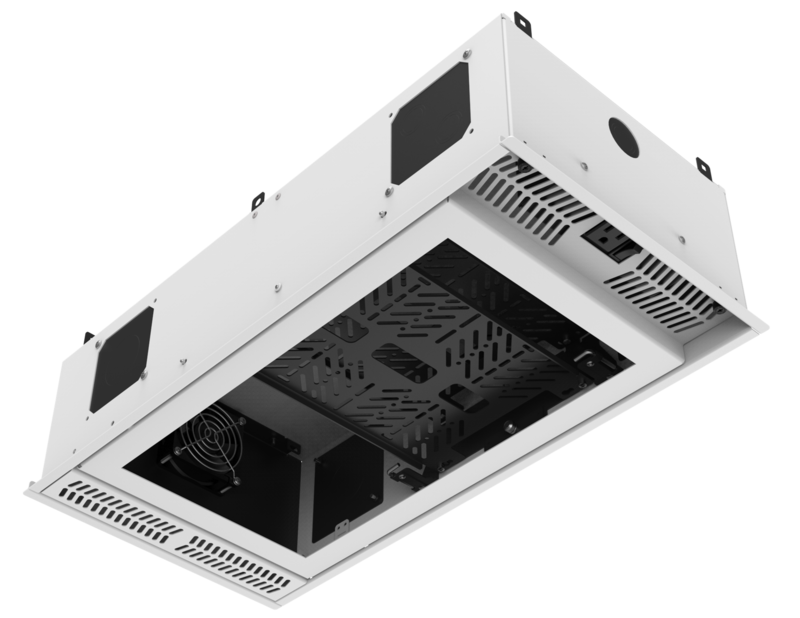 The CR Series provides a space-saving solution while also being aesthetically discrete, blending in with common drop-ceiling tile designs. 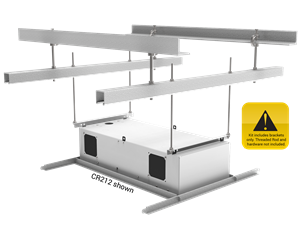 They permit equipment to be securely mounted above the ceiling in a sealed UL plenum-rated cabinet with an easy access door. 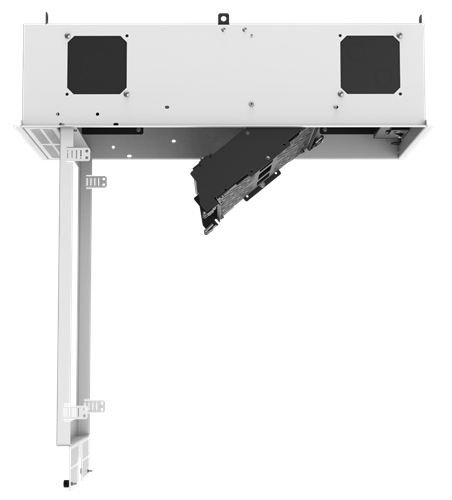 The door assembly has an open frame design so the installer can place a ceiling tile into the frame and better conceal the entire ceiling rack. The ceiling tile cut-out is safely held in place by retainer tabs, locking it to the frame. 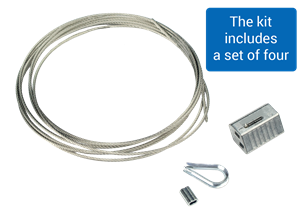 To open the door, two retention thumb screws can be removed, and the door has attached safety cables to protect against injury. 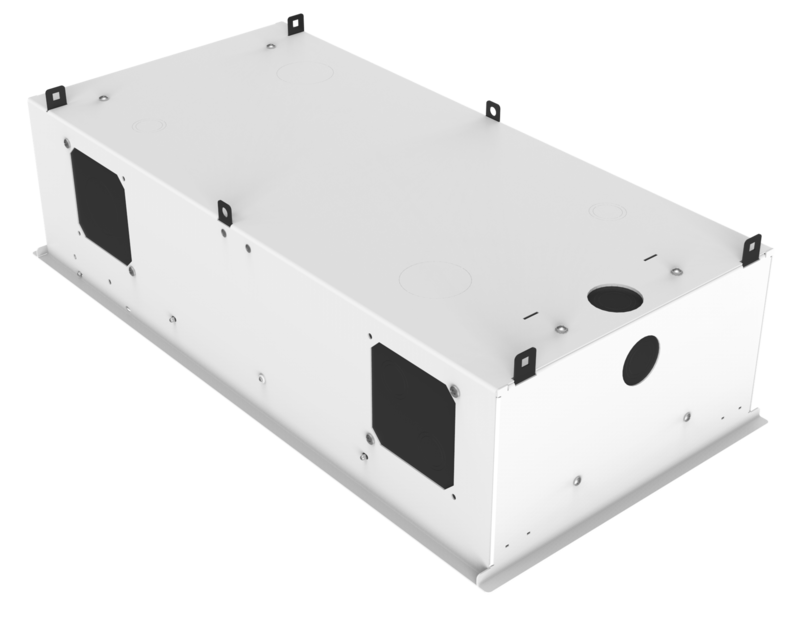 The CR212 incorporates an integrated UL-listed power pack for powering the mounted electronic devices and data projector. There are five-(5) electrical outlets provided with standard 15 Amp Edison-style plugs. Four-(4) electrical outlets are located inside the cabinet and one-(1) outlet faces down and remains exposed when the door is shut. This allows a projector to be easily powered. The CR212's power pack has an AtlasIED innovation called PowerAWAKE. This provides a sensing circuit that automatically turns power on or off to devices inside the cabinet. This extends their life span and can effortlessly save electricity. The CR212’s exposed outlet is constantly on and incorporates a sensing circuit. 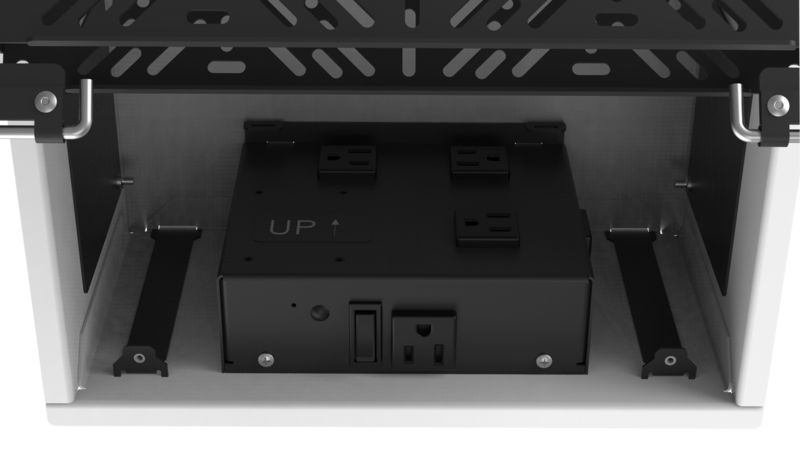 When a projector is plugged into this outlet, and powered on by a user with a remote, the PowerAWAKE™ circuit will detect the electrical current draw and automatically turn on the rest of the outlets and the fan assembly. Now all devices are powered on or off by the projector remote. 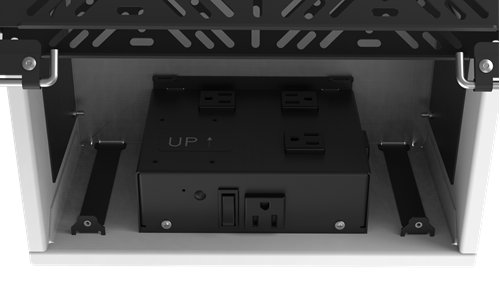 The PowerAWAKE pack has sensing circuits in two outlets that always stay on. They are the exposed outlet and the first outlet inside the cabinet. The remaining three outlets are toggled automatically by the PowerAWAKE circuit. 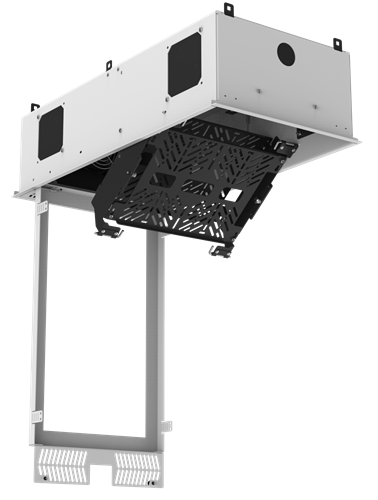 The CR212 is built "Texas Tough" in AtlasIED's Texas-based manufacturing facility. Proudly made in America and built to last, 18AWG powder coated metal provides a strong and rigid assembly with decades of operational use. 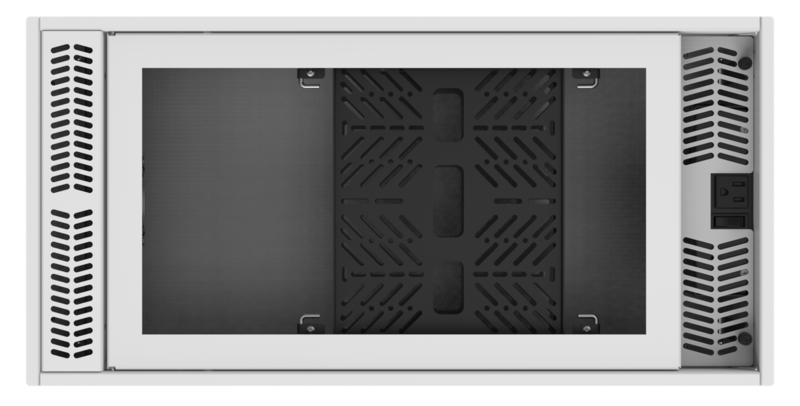 Another AtlasIED advantage, the cabinet side panels include four-(4) removable 4" square standard cover plates. 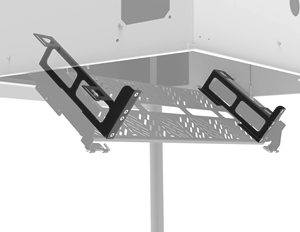 There are two per side and each side has one cover plate with a single 11/2" knockout and the other plate with two double knockouts for 1/2" or 3/4" conduit connection. The provided cover plates can be replaced with an installer-provided custom plate with connectors such as an Ethernet jack, HDMI jack, NL4, XLR, RCA connectors and much more.